What do you waste more of: time or money? This week we’re keeping it light and talking about two very important things: Instagram and subscriptions. School ahoy! Welcome back, Golden Hawks. We’re kicking off the 2018 school year with a brand new episode of the podcast. Listen to our Edboard members talk about what they wish they knew coming into first year. It’s all about food and beverages on this episode of The Cordcast. Brielle is joined by Sarah and Maddie to talk about Conestoga’s newest pretzel shop and the adverse effect of straws on our ecosystem. 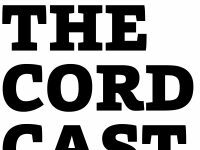 This is our last episode for the summer – be sure to tune in for a new episode of The Cord come September!